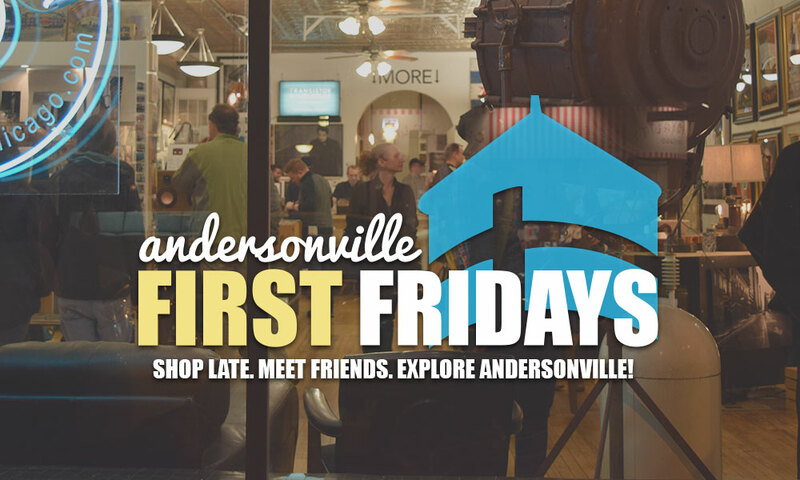 The Andersonville Chamber of Commerce is introducing First Fridays beginning tonight, when businesses on both the Uptown and Edgewater sides of Andersonville will stay open late and have special offers for shoppers. 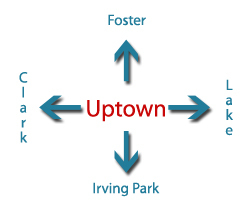 The goal is to give visitors special experiences on the first Friday of each month. One highlight of this evening is the opportunity to meet Chris Kennedy, who's running for governor. Andersonville Galleria | 5:30-8PM | Meet the Makers Reception: The event will be hosted by artists Angelique Bolin, Renee Leiber and Paula Nathan. Come and MEET the MAKERS, chat with each artist and learn about their work! Wine will be served. Located on the top floor. Hamburger Mary’s | 7:30PM & 9:30PM: “Dining with the Divas” drag revue show at 7:30PM & 9:30PM. Reservations recommended. Jerry’s | On First Fridays, Jerry’s staff will hand out free cookies (while supplies last) every 30min or so, to everyone in the restaurant. Martha Mae: Art Supplies & Beautiful Things | Open until 9PM: Not only a fantastic art supply and gift store, enjoy the beautiful art and display curation that owner Jean has perfected with her shop. Murray & White | Open until 10PM: Stop by to meet owners JT and Travis, sip on free sangria while you shop, and sample sauces and jams from New Canaan Farms. Norcross and Scott | Open until 10PM: Stop by to snap a photo of your feet on one of the beautiful Gus* Modern rugs for Norcross and Scott’s Instagram contest, and you could end up winning your very own rug (valued at $1,750)! Promotion ends on July 9. Wine and cheese will also be served. Presence, Inc. | Special in-store coupon after 6PM only! Roost | Open until 10PM: Late-night antique shoppers rejoice! Roost will stay open late for your treasure hunting needs. Sidewinder Gallery | 7-9PM | “Pollinate” Opening Art Reception: Artists Juliana Purcell Sheehan, Robert Pioch, and Taylor B. Sommers come together to exhibit works of art celebrating humanities similarities .“Pollinate” serves as a platform to view and discuss the unseen connections between us all. Come expecting wine, beer, art and great conversation! Swedish American Museum | Kerstin Andersson Museum Store | Open until 9PM: Shop late for your favorite Swedish gifts! Special offer: 20% off on T-Shirts. Transit Tees | Open until 9PM: Transit Tees will open their doors for the first time in Andersonville! Stop by the new location at 5226 N. Clark Street for free refreshments and special deals! TrueNorth | 6-8PM: Join Chris Kennedy at TrueNorth this Friday as part of their “Meet the Candidates for Governor” series. These events are a great opportunity to meet the candidates, hear them speak, ask them questions, and enjoy complimentary coffee. Women & Children First | 6-10PM: Shoppers will receive 15% off on any purchase of $25 or more when they check-in at the bookstore on Yelp or Facebook. If social media is not your thing, don’t worry! You can also get the discount when you write a “shelf-talker”–one of those beloved handwritten recommendation cards that you see tucked among the bookshelves at WCF–for one of your favorite books. 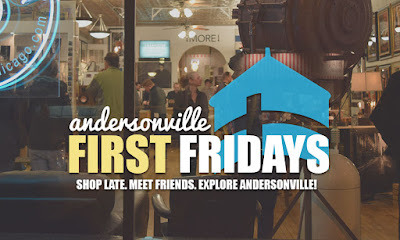 Andersonville First Fridays will return on Friday, August 4 and highlight an urban block party and community dinner hosted in North Andersonville on Olive Street. Tickets for the event go on sale Monday, July 10. 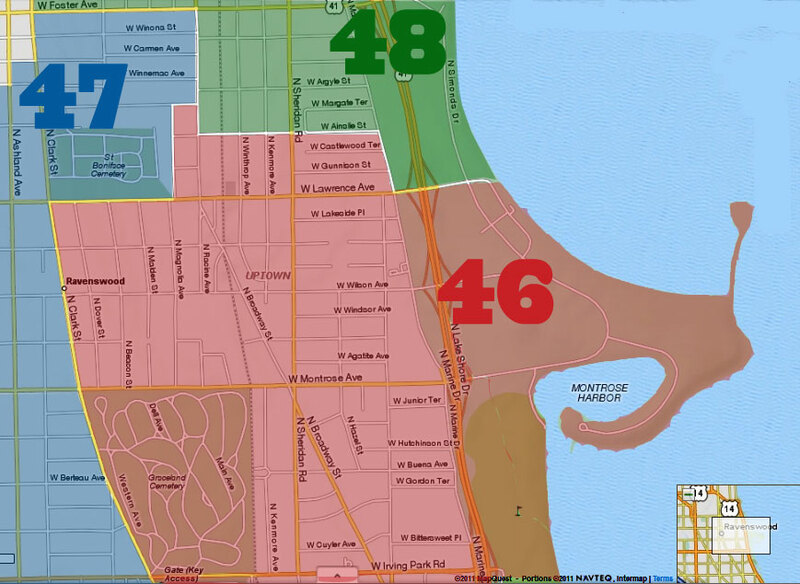 Future Andersonville First Fridays dates also include: September 1, October 6, November 3, and December 1.